Thank you for supporting our schools fundraiser. ​If ordering online please enter in coupon code eden on checkout if picking up, or edendel if you have opted for delivery @ $8. Minimum ordering is 6 bottles but can be mixed. Orders close Monday 29th October,2018. 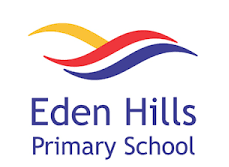 Wine is available for pick up from Eden Hills Primary School from Monday 5th November,2018. An excellent vintage and has resulted in a vibrant, aromatic cool climate Shiraz. Loaded with berry fruit characters and elegance this Shiraz drinks extremely well now and will also age well for a number of years. The Hesketh range of white label wines represent the best of our home state, South Australia – one of the most celebrated and diverse growing regions in the world. Grapes for these wines are grown only in premium sub regions of South Australia which are best suited to each wine style. The wines are then blended before bottling to a fresh, fruit driven style which is perfect for everyday drinking – or more salubrious occasions. Fruit for the Midday Somewhere Shiraz is sourced from a selection of premium vineyards within the renowned wine state of South Australia. South Australia has incredible diversity in climate and geography which makes it perfect for nurturing vines that go on to create dynamic and complex wines. Our Midday Somewhere Shiraz has benefited from such variety and subsequently showcases brilliant aromatic fruit notes balanced perfectly alongside soft vanilla hues from the quality French oak barriques. Colour: Deep ruby with a purple rim. Aroma: Vibrant aroma full of ripe dark berry fruits and dark chocolate. Palate: A well structured palate showing an abundance of bright berry notes paired alongside a slick of coffee and some liquorice sweetness. Juicy and elegant. Food Match: Pork and lamb ragu with pappardelle pasta.